Superb Sound is due to APTX Beats and Bluetooth V4.1 CSR+EDR Most Updated Technology. 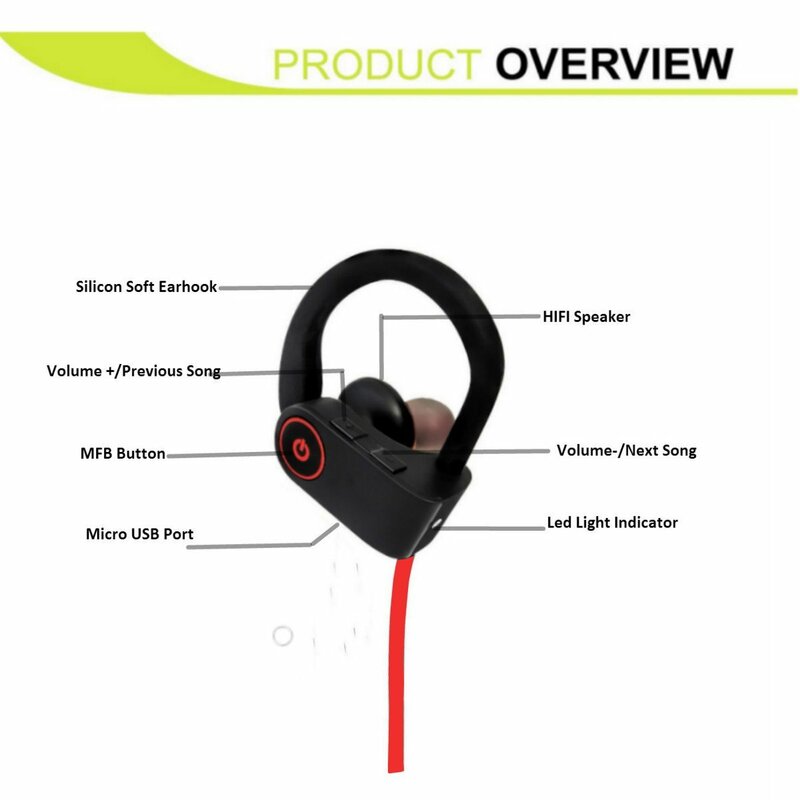 Specially Designed Headset to Match Active Lifestyle. 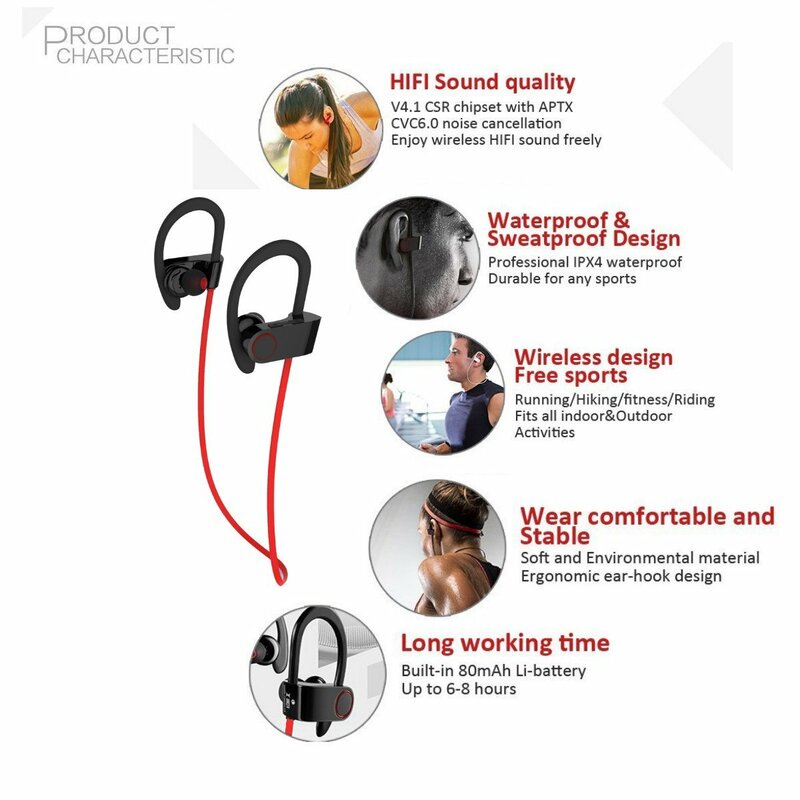 Special Sweat Resistance is Exactly What You Have Been Looking For in Stereo Headset. Compatibility With all IOS Devices such as iPhone 4, 4s, 5, 5s, 6, 6+, 6s, 6s+ and also with all IPad and I-watch Models. Compatible with all Android Cell Phones and Windows Phone Devices. Pairs up in Seconds to Create Seamless Connectivity. Powered by Cutting-Edge Charge Technology Allowing Over 8 Hours Music Time. Blisteringly Fast Charging Time of Just 1.5 Hours. - Supplied with 3 Sizes of Customized Earplugs: Small, Medium & Large. - You Sound Great While Talking By Phone Thanks to the Top-Notch Microphone. 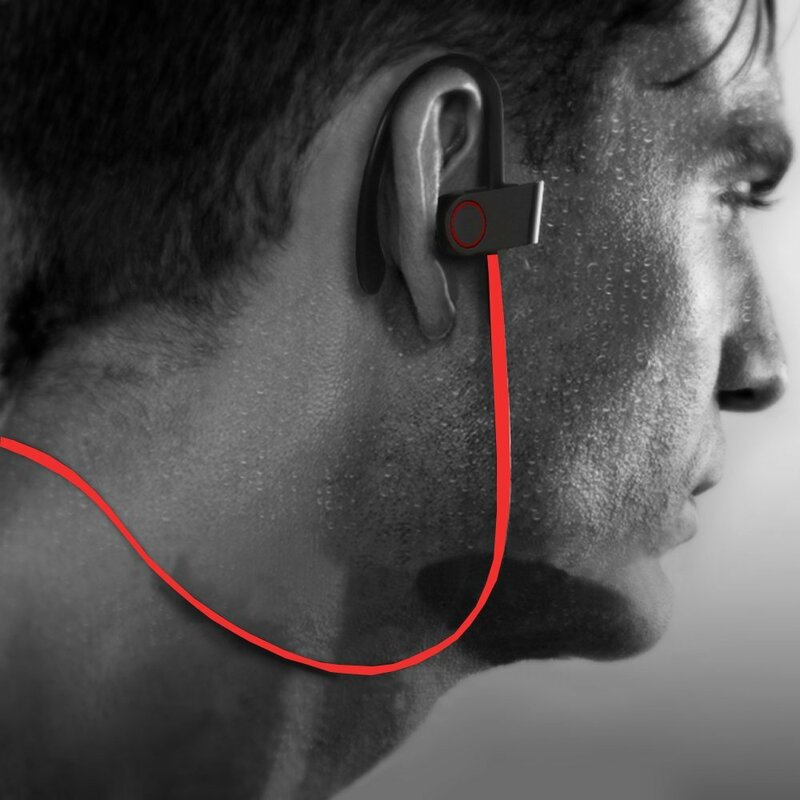 STATE OF THE ART EARPHONES DESIGN. 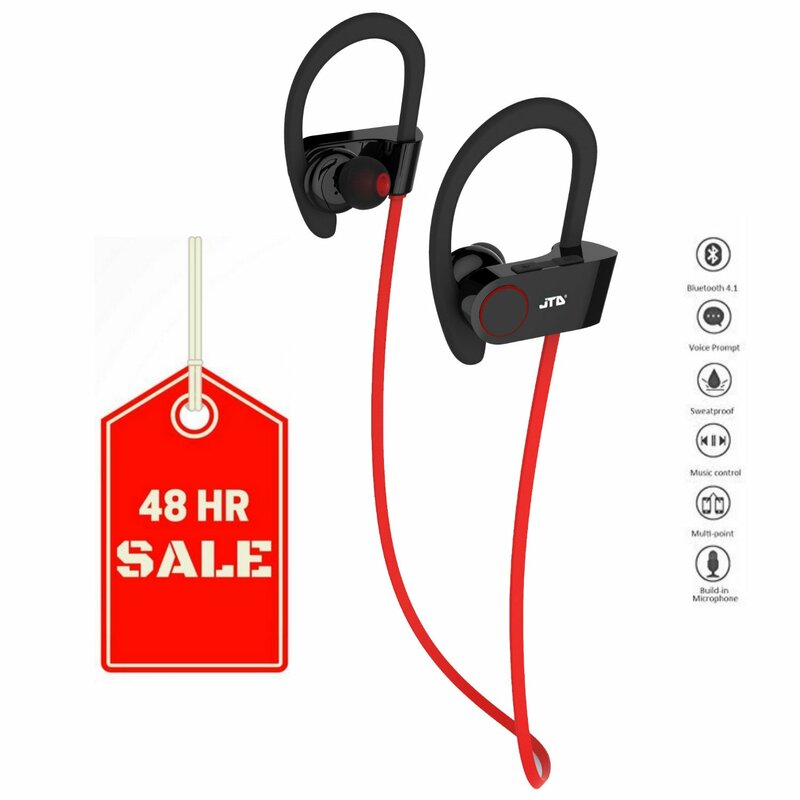 Best Workout Sweatproof Headphones. 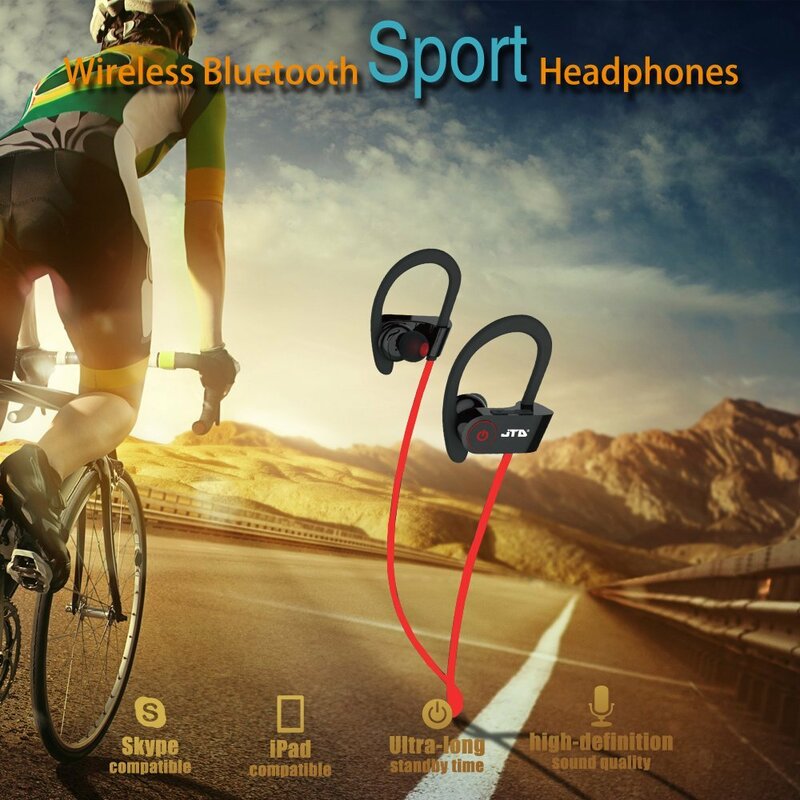 Great for Running, Jogging, Hiking, Biking, Gym and Water Sport. 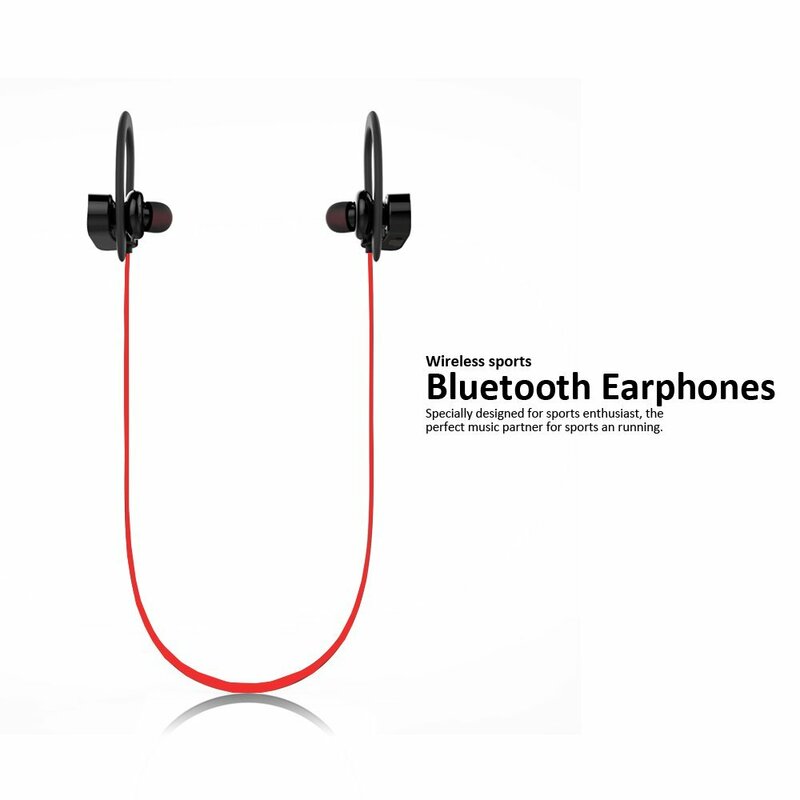 Stay in Ear Tech with Comfortable Ear Hook. UP TO 8 HOURS Music Playing for Full Battery Charge. Super Quick charge Time with Full Charge Light Indication. SUPRRB SOUND Quality with APTX Beats and Bluetooth 4.1 CSR Tec for Best Stereo Sound and Superb Bass Sound. Clear high & Low Volume. Best Wireless Earbuds Sound. WITH BOARD Easy to Use Buttons Allows Skip/Play/Pause on All your Music Tracks as well as all Phone use without reaching your phone. Up to 30ft. Bluetooth range in the Open Space and 10ft. Indoor. Can be Connected with Two devices Simultaneously. Super Quick Pairing with all Android And IOS Devices. Click the Orange Button to buy now! EASY TO USE Technology with Voice Notification of Incoming Calls and Phone Numbers. Superb Microphone Quality.